UK Inflation rose to 3.1% in November, the highest in nearly six years, as the squeeze on household budgets continued. According to the Office of National Statistics, airfares and computer games contributed to the increase. 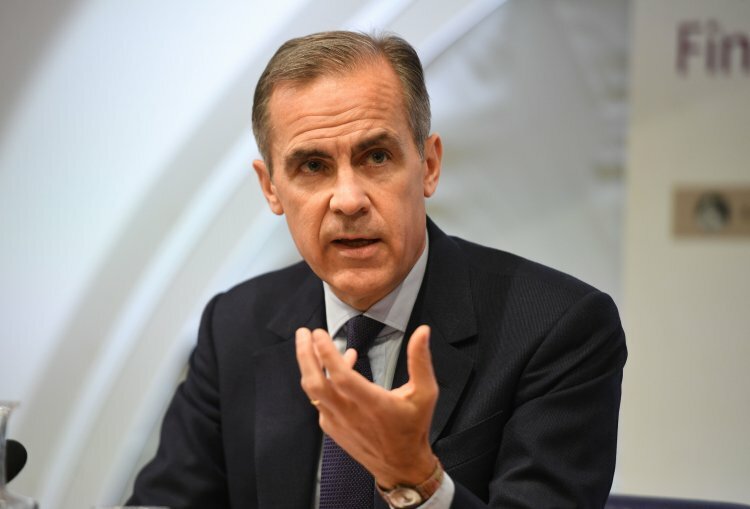 Mark Carney, the governor of the Bank of England, will now have to write a letter to Chancellor Philip Hammond explaining how the Bank intends to bring inflation back down to its 2% target. The most recent data shows that average weekly wages are growing at just 2.2% - therefore not keeping pace with inflation. In November, the Bank of England raised the interest rate for the first time in more than a decade from 0.25% to 0.5%. However, it is not expected to announce a further increase when it publishes the results of the Monetary Policy Committee's two-day meeting on Thursday. Carney had said that he expected inflation to peak in October or November. “November’s rise in Consumer Price Inflation (CPI) to 3.1% will have taken many by surprise as most forecasts had expected inflation to hold steady at 3%, as it did in October. “While the increase is only slight, there will now be some concern over whether inflation has peaked or whether it will continue to rise into next year. “With the Bank of England’s Monetary Policy Committee (MPC) meeting later this week the inflation figure may mean a small increase in pressure for a further interest rate rise. It will, after all, be the first time the Governor of the Bank has had to write a letter to the Chancellor since March 2012. “But, the Bank is unlikely to be bounced into a decision to hike rates just yet and will likely view a ‘do nothing’ approach to be in the economy’s best interests right now. “If inflation has peaked then that will prove it was largely imported as a result of the vote eighteen months ago to leave the European Union. Deppe added: “Higher interest rates at this time may be seen as an unnecessary burden given inflation is forecast to fall back towards target during 2018, while economic growth is expected to be weak compared to its long-term average and sterling mounting, an admittedly sluggish, comeback. “And there are now some analysts who believe there may not be another interest rate hike until late 2019. “It is worth nothing the Pound has slowing been recovering. Against the Dollar it is actually up 5.5% this year, while it trails the Euro by 4.2%, fairly remarkable given it fell more than 15% against the single currency after the Brexit referendum. Lucy O'Carroll, chief economist at Aberdeen Standard Investments, told the BBC that interest rates could rise again in the foreseeable future. "It's quite possible that inflation is now close to its peak. But some of the latest surveys suggest that service sector costs and prices are rising. Given how dominant services are in the economy, this could feed through to inflation overall. "That means that further interest rate rises are definitely not off the table."